The MCS-196 is the second generation of Intel’s MCS-96 family of 16-bit processors. 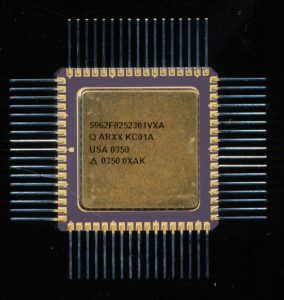 These are a control oriented processor originally developed between Ford Electronics, and Intel in 1980 as the 8060/8061 and used for over a decade in Ford engine computers. They include such things as timers, ADC’s, high-speed I/O and PWM outputs. This makes them well suited for forming the basis of applications requiring control of mechanical components (such as Motors, servos, etc). 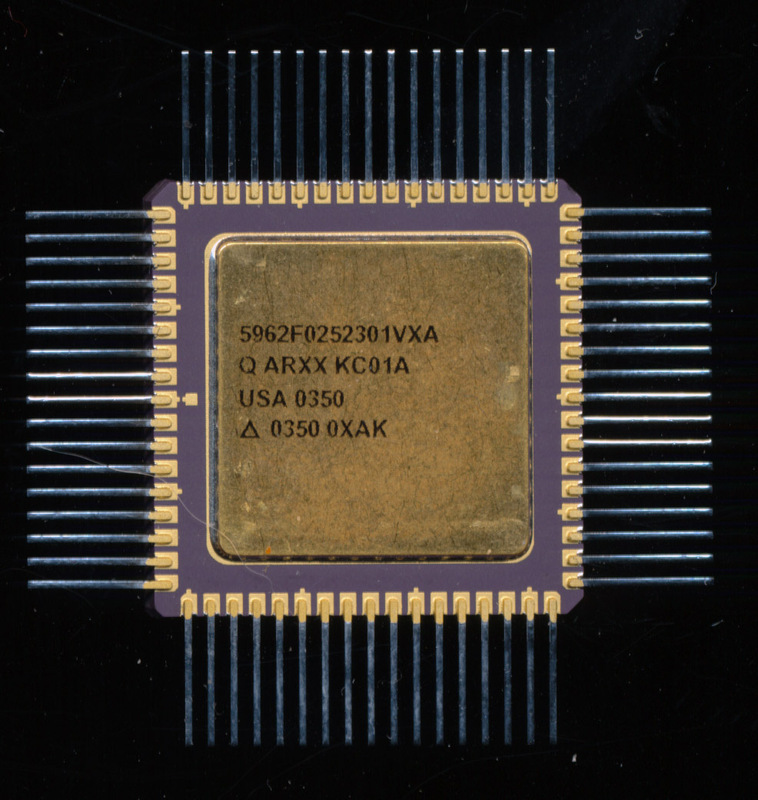 The 196KD is a 20MHz CMOS device with 1000 bytes of on die scratch pad SRAM. The UT80CRH196KDS (unqualified/not tested for radiation) is priced at $1895.00 in quantities of 5,000-10,000 pieces (in 2002). Fully qualified ones will of course cost a lot more. The KDS is a drop in replacement for the previous KD version, which only supported doses of 100krads. This obviously lends itself to automotive applications, hard disk control, printers, and industrial applications. There is however, another application they have found wide spread use in, spacecraft. Spacecraft are not all to different from a car in the amount of mechanical systems that must be interfaced to the computer controls. The difference however, is that unlike your car, spacecraft electronics must work, always. If a car fails, its an annoyance, if a spacecraft fails, it has the potential to cost millions of dollars, not to mention the loss of a mission. If that spacecraft happens to be the launch vehicle, a failure can directly result in a loss of life.